What can we expect from cloud computing in 2012? Where will cloud computing be one year from now? Basic premise of (1) economy of scale, (2) pay what you use and (3) better utilization through sharing will remain intact – though some reports challenging the extent of cost saving will emerge. Amazon will extend its lead over others with the most comprehensive offering on IaaS – competitors will try to carve out their own niche. Google will not make much headway in the enterprise segment – perpetual beta does not gel with enterprise. Microsoft will do just enough on office suite to keep competition at bay – but not too much to cannibalize its core office business. Same will happen with major ERP vendors – they will make just enough noise but stop short on cannibalizing their core business. Every vendor will look for a pie in the private & hybrid cloud – but the actual adoption will be very low the talk will shift to governance being the key. Critical concerns (both real and perceived) like (1) security, (2) privacy, (3) SLA and (4) compliance also remain – like credit card usage on net objections will slowly go away – but tipping point will not be 2012. Do you agree with these points? Actually, this is what I had predicted for 2011 and these points look perfectly valid for 2012. Would I want to add any other point to this list? I don’t think so. If you look back at the important cloud computing events you will find that nothing of much significance had happened in 2010. The same can be said for the 2011 and I suspect that 2012 will not be any different. But, one thing has changed during the 2011. There is clear indication that mobility has become the prime reason for cloud adoption. IBM: 51% of respondents stated that adopting cloud technology is part of their mobile strategy. CSC: 33% adopted cloud primarily for accessing information from any device as against only 17% who adopted for cost saving. The implication is that cloud computing is becoming an enabler for mobility and mobility is the big thing. Cloud computing becomes a means to an end. What will the implication be? Budget will get allocated for mobility and not for cloud computing though people will use cloud to achieve mobility. Mobility solutions will include a cloud component rather than a cloud solution with mobility component. Amazon continuous to lead in the IaaS with more offering and more availability zones – it is also trying to get into PaaS. Microsoft still continues to do just enough on office suites to keep competition at bay – it is fighting a battle of survival in the mobile and tablet space. Google has still not made much headway into the enterprise – in spite of changing direction in many ways. It has a new CEO. It has closed down Google Labs. It has a reasonable successful launch of social media platform. It discontinued Google App Engine for Business. It has modified its search algorithm to incorporate social data. On the whole, as far as cloud computing is concerned, there is hardly any change. Most analysts have proclaimed that “Big Data” is the next big thing. Big data without cloud computing is difficult to imagine. Is Big Data part of cloud or is it part of analytics? Is it to be treated as a separate category? Or, is it a solution in search of a problem? It is obvious that application of big data is limited to few specific set of problems. The key point we need to remember is that big data will not be of any use unless you are ready to ask the right question – but that is a separate topic. For everything to go into cloud and for us to access it from any device from anywhere we need wireless bandwidth. Do we have enough of it? In 2011 October, number of wireless devices in the U.S. exceeded the number of people. By 2014, voice traffic will comprise only 2 percent of the total wireless traffic in the United States. Smartphones consume 24 times more data than old-school cell phones, and tablets consume 120 times more data than smartphones. Mobile networks in North America were running at 80 percent of capacity. With advancements in connected cars, smart grids, machine-to-machine (M2M) communication, and domestic installations such as at-home health monitoring systems, wireless demands will only increase. Will cloud computing hit a road block of limited wireless bandwidth? 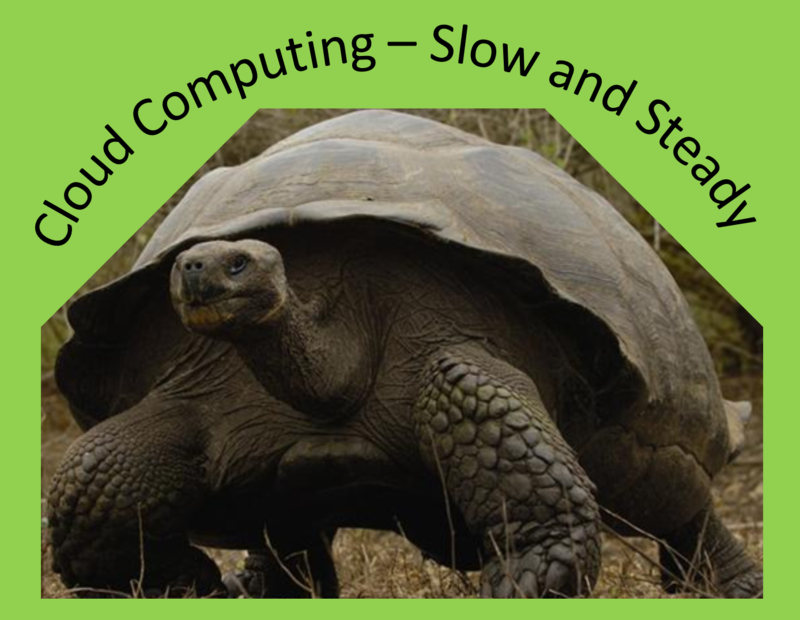 Actually I disagree with the Cloud Computing adoption statement. If you add in two significant drivers, namely the demand for managed services and explosion of business applications it seems that Cloud Computing usage will increase very nicely thank you. It helps if one steps back and looks at the overall impact rather than breaking it down into its many components. For example, if you take SaaS and add Managed Services to it, you end up with a fourth component of Cloud Computing. Experture believes that the future of cloud is in what it contributes transparently to business value. Value being defined as a composite of three parts, namely risk (reduction of), cost (reduction of) and market share (increase of). The other observation is that there are many business application/process/etc. start-ups that are using Amazon (and others) for their infrastructure, realizing that the real value is in what is delivered and not how it is delivered. Many of our client companies have realized this as well – there may not be any significant value in maintaining their own data processing and managed IT service organizations. Makes sense since they are not really in the business of competing with high tech companies. However, at the same time they realize the necessity of IT. Cloud Computing IS a realization of both! I agree with all that you have said except two points.